If you want to sell more in your business, you might want to start by improving your persuasion. And, the key to successful persuasion is to tap into people’s emotions. That’s the secret to getting people to take action—you tap into their emotions. It doesn’t matter if you’re persuading a potential buyer to invest in your offerings or your kids to go to bed at a decent hour; it’s all about tapping into emotions. The secret to persuading someone to take action is to tap into their emotions. Which emotions? Ah, well, you have a choice. 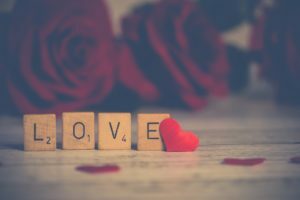 You can either tap into love-based emotions or fear-based emotions (this is the foundation of the love-based philosophy). There’s no question that fear is persuasive. The “fear umbrella” includes worry, future-spinning, anxiety, etc. If you think about it, it makes sense that fear persuades. Fear is designed to protect us. To keep us safe. Our survival as a species depends on it. But just because it works doesn’t mean we have to use it in our businesses. Traditionally, marketers and copywriters sold with fear by agitating. Basically, they would state what was keeping their clients up at night, and then they would agitate it. They would purposefully make their clients even more worried than they already were. The bad news is that this tactic does work. The good news is that you don’t have to use itto be successful. Here’s the thing: If your ideal clients are worried about something, you need to address it. They truly ARE worried. They don’t stop being worried because you don’t bring it up. Plus, if you don’t bring it up, your ideal clients won’t realize you’re talking to them. Create a safe container for your ideal prospects to deal with their worries. Give them space to feel their emotions and decide if they want to move forward toward a solution or not. 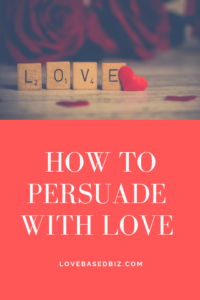 Persuading with love starts by being respectful. When it comes to copy, start by respectfully acknowledging what’s keeping your ideal clients up at night. And then you move on. You don’t agitate. You don’t go on and on. Your ideal clients need to feel heard and understood. In fact, feeling heard and understood is very persuasive in itself. You’ve spent thousands of dollars or hundreds of hours (or both) putting up a website only to find it doesn’t do much of anything for you, which leaves you feeling stuck and frustrated, because the money’s gone and you’re not getting a return on your investment … and no one can tell you why. You have a genuine passion for helping people – and you know your products will provide solutions your prospects need and want … but something just isn’t clicking, because none of those prospects are buying. Making a big impact is trickier than you’d expected, and you’re starting to feel discouraged. You know you should be doing something to help your website work, but you aren’t exactly sure what that something is. Plus, all the experts and gurus give different, conflicting advice. It’s all very overwhelming. So you do nothing. You’ve tried a bunch of different things – emails, newsletters, giveaways, social networking – but nothing seems to be working. So what’s the deal? See how the agitation works? You haven’t lost your business yet, but I’m spelling out the worst-case scenario, so you fear it. That’s what agitation looks like. It’s a fine line, because if your clients are worried, that means they are focusing on something that hasn’t happened yet. So, you want to acknowledge the worry without continuing the story for them and making it worse. Note: The more you practice acknowledging without agitation, the easier that line will be to see. 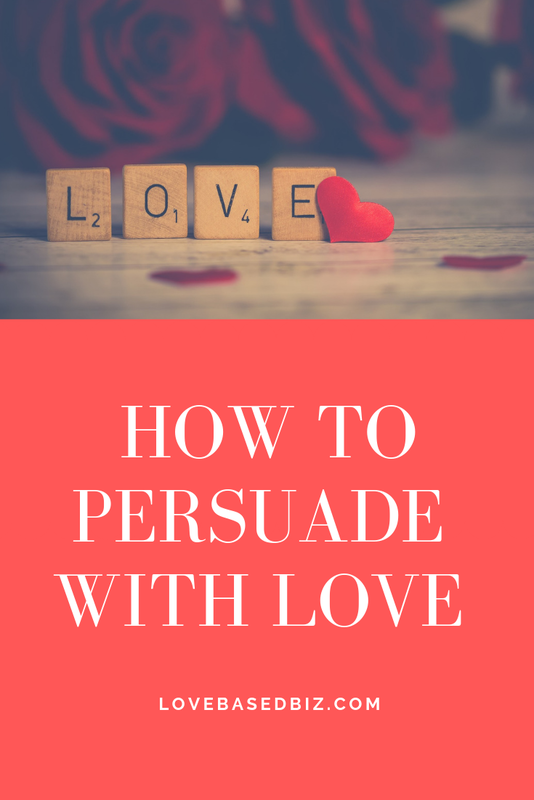 If you’d like more love-based persuasion tips, check out my “Love-Based Copywriting Method” book.